Uncategorized – Life is not Accumulation, it is about Contribution. In VMware vSphere environment, why Smaller vCPU is better than Bigger vCPU (if the workloads only require few vCPU) in a fully probable contention environment? To explain this further let’s take an example of a four pCPU host that has four VMs, three with 1 vCPU and one with 4 vCPUs. At best only the three single vCPU VMs can be scheduled concurrently. In such an instance the 4 vCPU VM would have to wait for all four pCPUs to be idle. In this example the excess vCPUs actually impose scheduling constraints and consequently degrade the VM’s overall performance, typically indicated by low CPU utilization but a high CPU Ready figure. So, always start with smaller vCPU and then add extra vCPU later on if needed based on your observation about the workload. Berikut ini saya lampirkan mekanisme untuk Upgrade VCAC 6.1 ke VRA 6.2. (*notes: saat ini versi terbaru adalah VRA 7, dengan enhancement yang jauuuhhhh lebih banyak dibanding versi sebelumnya). After reading this book, please continue with The 8th Habit and the 3rd Alternative. Habit 8: Find your voice and inspire others to find theirs! You may not use the options, packs, or products described below without separately purchased licenses. The fact that these options, packs, or products may be included in product CDs or downloads or described in documentation that you receive does not authorize you to use them without purchasing appropriate licenses. All the Oracle Database options can be purchased with Oracle Database Enterprise Edition. Oracle Real Application Clusters (Oracle RAC) is included with Oracle Database Standard Edition. You cannot purchase any options with Oracle Database Standard Edition One or Oracle Express Edition. The Personal Edition includes all options except Oracle RAC at no additional cost. Oracle Active Data Guard enhances the Quality of Service (QoS) for production databases by off-loading resource-intensive operations to one or more standby databases, which are synchronized copies of the production database. With Oracle Active Data Guard, a physical standby database can be used for real-time reporting, with minimal latency between reporting and production data. Compared with traditional replication methods, Active Data Guard is very simple to use, transparently supports all data types, and offers very high performance. Oracle Active Data Guard also allows backup operations to be off-loaded to the standby database, and be done very fast using intelligent incremental backups. Oracle Active Data Guard thus is a very effective way to insulate interactive users and critical business tasks on the production system from the impact of such long-running operations. Oracle Active Data Guard provides the additional benefit of high availability and disaster protection by quickly failing over to the standby database in the event of a planned or an unplanned outage at the production site. If a physical standby database in a Data Guard configuration has any of the above features enabled, then the Active Data Guard option must be licensed for every such physical standby, and also for the primary database. Oracle Advanced Compression provides comprehensive data compression capabilities to compress all types of data, backups, and network traffic in an application transparent manner. With Advanced Compression, Oracle includes table compression targeted at OLTP workloads, resulting in reduced storage consumption and improved query performance while incurring minimal write performance overhead. Advanced Compression can be used to compress any unstructured content using SecureFile Compression. Deduplication provides the ability to automatically eliminate redundant copies of SecureFile data. A new faster compression algorithm is included in the Advanced Compression to speed up RMAN backups. With Advanced Compression, Data Pump exports can now be compressed to reduce disk space requirements. Finally, Data Guard can compress redo data resulting in reduced network traffic and faster gap resolution. Oracle Advanced Security provides transparent data encryption of data stored in the database, the encryption of disk-based backups of the database, and also network encryption for data traveling across the network between the database and client or mid-tier applications. In addition it provides a complete suite of strong authentication services to Oracle Database. Network encryption is implemented using industry-standard data encryption and data integrity algorithms. This feature provides a choice of algorithms and cipher strengths for deployment. Strong authentication services support a comprehensive suite of industry-standard third-party authentication options. The authentication options include single sign-on services to the Oracle Database by interoperating with existing authentication frameworks and two-factor authentication choices such as smart cards and token cards. If you wish to use Enterprise User Security in Oracle Database Enterprise Edition, you no longer need to license the Oracle Advanced Security Option for password-based authentication. However, you must license Oracle Internet Directory (OID). If you wish to use stronger authentication alternatives (such as Kerberos or PKI) for Enterprise User Security, you must license Oracle Advanced Security and the Oracle Internet Directory (OID). Any Oracle Advanced Security licenses purchased on or before January 31, 2004, have restricted use of the Oracle Internet Directory (OID) to support enterprise user security. Please contact your Oracle sales representative for additional information. Oracle Data Mining enables you to build advanced business intelligence applications that mine corporate databases, reveal new patterns and relationships, and integrate that information into business applications. This option embeds data mining functionality into Oracle Database for making classifications, predictions, and associations. All model-building, scoring, and metadata management operations are accessible by way of either a Java or PL/SQL API. Oracle Database Vault lets you control who, when, and where data and applications can be accessed—protecting your business against the most common security threat: malicious internal users. Enforcing separation of duties, even among administrators, Oracle Database Vault additionally serves as a powerful preventive control to help comply with today’s stringent compliance and privacy requirements. Oracle Database Vault is an option for Oracle Database 10g or later. However, it has also been provided for earlier releases as well, including Oracle9iDatabase Release 2 (9.2.0.8) on a limited number of platforms. Please contact your Oracle Sales Representative if you are interested in Oracle Database Vault as an option on Oracle9i Database. Oracle In-Memory Database Cache enables you to improve application transaction response time by caching a performance-critical subset of tables and table fragments from an Oracle database to the application tier. The table fragments are described through an extended SQL syntax and are cached into Oracle In-Memory Database Cache tables. Cache tables can be specified as read-only or updatable. Applications read and update the cache tables using standard SQL. Cache table hierarchy for related tables with foreign key constraints is maintained for data consistency. Automatic data synchronization between the cache and the Oracle database is provided. Cache tables are managed like regular relational database tables within the TimesTen In-Memory Database. Thus, Oracle In-Memory Database Cache offers applications the full generality and functionality of a relational database, the transparent maintenance of cache consistency with the Oracle Database, and the real-time performance of an in-memory database. This Database option is ideal for caching performance-critical subsets of an Oracle database for improved response time in the application tier. Oracle Label Security provides sophisticated and flexible security based on row labels for fine-grained access control. This option employs labeling concepts used by government, defense, and commercial organizations to protect sensitive information and provide data separation. It includes a powerful tool to manage policies, labels, and user label authorizations. By default, Oracle Label Security is configured to use Oracle Database for all policy management. Users interested in centralized policy management using the Oracle identity management infrastructure must additionally license Oracle Identity and Access Management Suite. Please contact your Oracle sales representative for additional information. The OLAP option to Oracle Database is a full-featured OLAP server embedded in Oracle Database Enterprise Edition. Oracle OLAP cube data types improve business intelligence tools and applications by providing excellent query performance, rich analysis, and fast incremental updates of data sets. OLAP cubes are easily queried by SQL-based business intelligence tools through cube-organized materialized views and OLAP cube views. Cube-organized materialized views provide an alternative summary management solution to table-based materialized views. As with a table-based materialized view, an OLAP cube is accessed by SQL-based tools transparently using the automatic SQL query rewrite feature of the materialized views. SQL-based tools can access both summary data and rich analytic content directly through OLAP cube views. Multidimensional OLAP tools can provides a full-dimensional OLAP experience using the Oracle OLAP multidimensional API to cubes. A single OLAP cube can service each of these types of applications. Oracle Partitioning enhances the data management environment for OLTP, data mart, data warehouse, and content management applications by adding significant manageability, availability, and performance capabilities to large underlying database tables and indexes. Oracle Partitioning lets you store large tables as individually managed smaller pieces, while retaining a single application-level view of the data. Oracle Real Application Clusters (Oracle RAC) is a database computing environment that harnesses the processing power of multiple interconnected computers using clustering technology. Oracle RAC provides unlimited scalability and high availability for all applications. Oracle RAC makes the database highly available in the presence of computer hardware or software failure: in the event any computer in the cluster fails, the database continues to provide service on the surviving computers in the cluster. Oracle RAC provides scalable performance: as demand for database throughput grows, additional computers can be added to the database cluster with no downtime. Oracle RAC supports a single-system image for ease of management. Oracle RAC also provides a complete and integrated stack of clustering software on all platforms; third-party clusterware software is not required. Finally, Oracle RAC provides cluster file system capability on the Windows and Linux platforms. The Oracle Real Application Testing option comprises a suite of features that help protect database applications from undesirable impact of routine changes such as hardware/software upgrades, configuration changes, platform migrations, and so forth. These features enable comprehensive testing of real-world applications so that any issues resulting from system changes are fully identified and addressed during testing, and unexpected problems encountered when a change is finally made in the production systems are minimized. In order to use the features listed above, you must purchase licenses for the Oracle Real Application Testing option, with one exception: SQL Tuning Sets (STS) can be used if you have licensed either the Tuning Pack or Oracle Real Application Testing. Oracle Real Application Testing functionality can be accessed by Enterprise Manager as well as through the database server command-line APIs. The use of either interface requires an Oracle Real Application Testing option license. The Oracle Real Application Testing license is required on both capture and replay systems for Database Replay and is charged by the total number of CPUs on those systems. Oracle Spatial provides advanced spatial analysis features for complex geographic information systems (GIS) applications, enterprise applications, and location-based services applications. It augments the Oracle Locator feature, which provides storage, analysis, and indexing of location data accessible through SQL and standard programming languages, supporting seamless integration of location data into enterprise applications, and use of any leading third-party GIS tool to access location data. Oracle Spatial advanced features include GeoRaster for storage, indexing, and analysis of image and gridded raster data, such as satellite imagery and remotely sensed data; a network data model that allows users to model and analyze link-node networks (graphs) for applications; a topology data model and schema to persistently manage topology; a fully functional geocoding engine and routing engine; and location-based analysis functions for business intelligence applications, including location-based classification, binning, association, and correlation. Oracle Spatial also supports spatial data manipulation and analysis such as buffer generation, area/distance calculations, linear referencing, and more. Oracle Locator, a feature of Oracle Database 11g (XE, SE1, SE, and EE), includes the spatial vector geometry type, spatial indexing and operators, and a limited set of spatial functions.For detailed lists of functions included in Locator and those included only in Oracle Spatial option, please refer to Appendix B of Oracle Spatial Developer’s Guide. Oracle Spatial also includes Semantic database features including support for W3C Resource Description Framework (RDF) triple storage, indexing and querying, Web Ontology Language (OWL), ontology management, and semantic inferencing. The Semantic database features in Oracle Spatial require the Oracle Partitioning option. Oracle Total Recall provides the ability to transparently track and archive historical changes to all data stored in an Oracle database. History data is stored in a secure and highly optimized storage and can be accessed in a seamless manner using Flashback Queries. With Total Recall, you can enable history tracking on tables instantaneously and retain the history data any length of time. In addition, Total Recall provides for easier manageability by automating purge of historical data based on specified retention policy. History tracking is non-intrusive and completely transparent to applications. The sections that follow describe the Oracle management packs. The management packs can be purchased only with Enterprise Edition. The features in these packs are accessible through Oracle Enterprise Manager Database Control, Oracle Enterprise Manager Grid Control, and APIs provided with Oracle Database software. The Oracle Change Management Pack enables administrators to evaluate, plan, and implement database schema changes. Using the Change Management Pack, administrators can investigate and track changes, compare and synchronize objects and schemas, modify schema objects, evaluate the change impact, and if required undo changes that have been made previously. The Change Management Pack makes change management simple and efficient and minimizes chances for error, thereby reducing the opportunity for data loss and system down-time. In order to use the features listed above, you must purchase licenses for the Configuration Management Pack. The Configuration Management Pack functionality can be accessed by the Enterprise Manager and through the Enterprise Manager repository views. The use of either interface requires licensing of the Configuration Management Pack. In earlier releases, three additional features were part of this pack: Patch Deployment (Patch Database and View Patch Cache, Patch staging), Clone Oracle Home, and Clone Database. These features are no longer part of the Configuration Management Pack. They are now part of the Oracle Provisioning and Patch Automation Pack, which is licensed with Enterprise Manager. However, if you have previously licensed the Configuration Management Pack for Oracle Database, you are entitled to use these features without licensing the Oracle Provisioning and Patch Automation Pack. To determine which links in Enterprise Manager Grid Control and Database Control are part of the Configuration Management Pack, click the Setup link on the top right-hand part of the Enterprise Manager Home page. When you click the Setup link, the navigation bar contains the Management Pack Access link. Click this link. This will take you to the Management Pack Access page, which allows you to grant and remove access from all the management packs. For Enterprise Manager Database Control, click the Remove Access radio button for the Configuration Management Pack and click Apply. For Enterprise Manager Grid Control, click the appropriate check box for the Configuration Management Pack and click Apply. This will disable all the links and tabs associated with the Configuration Management Pack in Enterprise Manager. All the disabled links and tabs are part of the Configuration Management Pack and therefore require pack license. From the Monitoring page, the Alerts and Policy Violations link: all reports. From the Monitoring page, the Disabled Policies link: all reports. From the Security page, the Security Policy Overview link: all reports. Oracle Data Masking Pack offers the ability to mask regulated or confidential data on test or development systems. The following licensed pages and links in Enterprise Manager apply to Oracle Data Masking Pack. Definitions: All links, buttons, and drilldowns on this page are licensed features of this pack. Format Library: All links, buttons, and drilldowns on this page are licensed features of this pack. DIAGNOSTIC+TUNING: Diagnostic Pack and Tuning Pack functionally is enabled in the database server. DIAGNOSTIC: Only Diagnostic Pack functionality is enabled in the server. NONE: Diagnostic Pack and Tuning pack functionally is disabled in the database server. The Diagnostic Pack functionality can be accessed by Enterprise Manager links as well as through the database server command-line APIs. The use of either interface requires a Diagnostic Pack license. To determine which links in Enterprise Manager Grid Control and Database Control are part of the Diagnostics Packs, click the Setup link on the top right-hand part of the Enterprise Manager Home page. For Enterprise Manager Database Control, click the Remove Access radio button for the Diagnostic Pack and click Apply. For Enterprise Manager Grid Control, click the appropriate check box for the Diagnostic Pack and click Apply. This procedure disables all the links and tabs associated with the Diagnostic Pack in Enterprise Manager. All the disabled links and tabs are part of the Diagnostic Pack and therefore require pack license. The DBMS_WORKLOAD_REPOSITORY package is part of this pack. The DBMS_ADDM package is part of this pack. The DBMS_ADVISOR package is part of this pack if you specify ADDM as the value of the advisor_name parameter, or if you specify for the value of thetask_name parameter any value starting with the ADDM prefix. The V$ACTIVE_SESSION_HISTORY dynamic performance view and its underlying table, X$ASH, are part of this pack. The DBA_STREAMS_TP_PATH_BOTTLENECK view is part of this pack. All views beginning with DBA_ADDM_ are part of this pack. All data dictionary views beginning with the prefix DBA_HIST_ are part of this pack, along with their underlying tables.The only exception are the views:DBA_HIST_SNAPSHOT, DBA_HIST_DATABASE_INSTANCE, DBA_HIST_SNAP_ERROR, DBA_HIST_SEG_STAT, DBA_HIST_SEG_STAT_OBJ, andDBA_HIST_UNDOSTAT. They can be used without the Diagnostic Pack license. All data dictionary views with the prefix DBA_ADVISOR_ are part of this pack if queries to these views return rows with the value ADDM in theADVISOR_NAME column or a value of ADDM* in the TASK_NAME column or the corresponding TASK_ID. The following reports found in the /rdbms/admin/ directory of the Oracle home directory are part of this pack: awrrpt.sql, awrrpti.sql, addmrtp.sql, addmrpti.sql, ashrpt.sql, ashrpti.sql, awrddrpt.sql, awrddrpi.sql, awrsqrpi.sql, awrsqrpt.sql, awrextr.sql, and awrload.sql, awrextr.sql, awrload.sql, awrinfo.sql, spawrrac.sql. The Oracle Provisioning and Patch Automation Pack automates the deployment of software, applications, and patches for the database and underlying operating system. It makes critical data center operations easy, efficient and scalable resulting in lower operational risk and cost of ownership. The ability to provision the entire software stack that includes the operating system and the database, supplemented by comprehensive reporting tools make Oracle Provisioning and Patch Automation Pack an extremely significant entity in overall System Management space. The Oracle Tuning Pack provides database administrators with expert performance management for the Oracle environment, including SQL tuning and storage optimizations. The Oracle Diagnostic Pack is a prerequisite product to the Oracle Tuning Pack. Therefore, to use the Tuning Pack, you must also have a Diagnostic Pack. For Enterprise Manager Database Control, click the Remove Access radio button for the Tuning Pack and click Apply. For Enterprise Manager Grid Control, click the appropriate check box for the Tuning Pack and click Apply. This procedure disables all the links and tabs associated with the Tuning Pack in Enterprise Manager. All the disabled links and tabs are part of the Tuning Pack and therefore require pack license. DBMS_ADVISOR, when the value of the advisor_name parameter is either SQL Tuning Advisor or SQL Access Advisor. The following report found in the /rdbms/admin/ directory of the Oracle home directory is part of this pack: sqltrpt.sql. Oracle Database Lite Client Oracle Database Lite Client is a small general-purpose relational database used for mobile and embedded applications. Oracle Database Lite client can be used as a standalone database in embedded hardware and software applications or may be used as the data store for disconnected mobile applications when used with the Oracle Database Lite Mobile Server. Each user must purchase a Named User Plus license. Oracle Database Lite Mobile Server Oracle Database Lite Mobile Server is middle-tier infrastructure for mobile and disconnected applications that performs data synchronization and provides management for applications, users, and devices. Oracle Database Lite Mobile Server can use the Oracle Database Lite client as a data store for mobile and disconnected applications, providing efficient, reliable, and secure data management running locally on mobile and small-footprint devices (handhelds, notebooks, communicators, and so forth). The Lite Mobile Server supports scalable synchronization of data between devices and an Oracle Database. Oracle Database Lite Mobile Server is licensed by CPU. When Lite Mobile Server is used with Lite Client, customers must purchase at least one CPU license for Lite Mobile Server and a Named User Plus license for each client user. Oracle Secure Backup provides tape backup management for the entire Oracle environment. You can use Oracle Secure Backup to back up Oracle databases and host file systems to tape through direct-attached or network-attached tape drives. Oracle Secure Backup provides centralized management and control over backup and restore operations. Oracle Secure Backup For environments that consist of many servers, Oracle Secure Backup offers high performance data protection from server to tape. This protection is crucial for local and offsite storage of business-critical data. Oracle Secure Backup Express For environments that consist of a single server, Oracle Secure Backup Express offers the same tape backup functionality as Oracle Secure Backup, but is limited to a single host with one direct-attached tape drive. These are several of My Tweets about Leadership, taken from several resources and some are created by me. Mohon maaf jika ini adalah materi yang mendasar. Tetapi karena banyak yang masih menanyakan kepada saya perihal ini. Mending saya tulis saja deh. Berikut ini adalah cara manual via console bagaimana caranya untuk menaikkan database server dan juga enterprise manager-nya berikut juga listener-nya. Untuk lebih detail dapat merujuk ke dokumentasi Oracle-nya juga. Copyright (c) 1996, 2005 Oracle Corporation. All rights reserved. Starting Oracle Enterprise Manager 10g Database Control …………………….. started. Copyright (c) 1991, 2005, Oracle. All rights reserved. Service “PLSExtProc” has 1 instance(s). 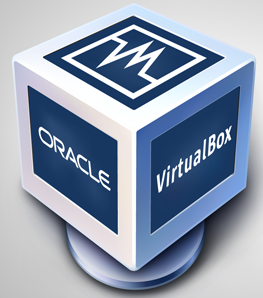 Jika anda tidak mau repot untuk melakukan Instalasi produk-produk dari ORACLE, maka anda dapat langsung mengambil VirtualBox Template-nya saja. Secara otomatis sudah ter-install produk2 yang anda inginkan. Sangat cocok untuk environment Development, saya belum tau apakah cocok untuk Production (belum mencoba).